​KASI AYSOLA is the Co-Founder/Co-Artistic Director of Prakriti Dance. Kasi is a Bharata Natyam dancer, choreographer, and nattuvanar who trained under his Guru, Viji Prakash, for over ten years. Kasi has been privileged to learn with leading exponents such as: Guru T.K. Kalyanasundaram, Mythili Prakash, Harikrishna Kalayanasundaram, Ajith Bhaskaran Dass, C.V. Chandrasekhar, Bragha Bessel & Sudha Chandrasekhar. Kasi has performed solo and group work in the US, India and abroad, and has toured with the Shakti Dance Company & Dakshina/Daniel Phoenix Singh Dance Company. A versatile and composite artist, Kasi continues to further his study of classical Indian dance and music. He is a Kuchipudi disciple of the late Guru Sri Vempati Ravi Shankar. He continues his learning in Kuchipudi under Smt Yamini Saripalli. He also learns Carnatic music under Smt Vanaja Dasika. DR. MADHVI VENKATESH is the Co-Founder/Co-Artistic Director of Prakriti Dance. She is a dancer and choreographer who specializes in Bharata Natyam though she has also studied modern dance and ballet. She trained for over ten years with Viji Prakash and subsequently refined her art under the guidance of various esteemed Bharata Natyam stalwarts such as: Guru T.K. Kalyanasundaram, Harikrishna Kalyanasundaram, Indira Kadambi and Sreelatha Vinod. She has performed as a soloist in the U.S. and India and has toured with the Dakshina/Daniel Phoenix Singh and Shakti Dance Companies. She has received recognition and funding for her dance pursuits from various organizations including the National YoungArts Foundation, Maryland State Arts Council, and Alliance for California Traditional Arts. ​RAMYA S. KAPADIA is the Assistant Artistic Director of Prakriti Dance. She is a Bharata Natyam dancer/choreographer and Carnatic vocalist. She received initial dance training from Shantha Gopinath, in the Kalakshetra style, and later from Kripa Baskaran. She studied Carnatic music from her mother Gayathri Sundaresan, and later received advanced training from Sri V. Vamanan. Ramya has written, choreographed and scored the music for several dance theater productions for Indian dancers all over the U.S. and abroad. She is the recipient of the Ella Pratt Emerging Artist Award and the North Carolina Dance Alliance Choreography Fellowship. She currently directs the Natyarpana School of Dance & Music in Durham, NC. MADHAVI REDDI is a core dancer of Prakriti Dance. She received her training in Bharata Natyam under the tutelage of Smt. Padmarani Rasiah Cantu of the Fine Arts Society, Yogaville, VA as well as extensive training from Sri VP & Smt. Shanta Dhananjayan of Bharatakalanjali, Chennai. In 2010, Madhavi did her arangetram and has since been performing regularly both in India and the U.S. In addition to performing, she conducts lecture demonstrations at schools and community events and is a faculty member at Crozet Arts, an interdisciplinary arts school located in Central Virginia. Madhavi holds a B.A. in Film and Media Arts and is currently doing her Master's degree in Communication, Culture, and Technology at Georgetown University. Madhavi is pursuing tabla under the guidance of Sri Jay Parikh. 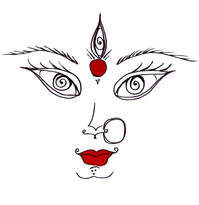 ​VANITA TODKAR is a core dancer of Prakriti Dance. Vanita learned Bharata Natyam from esteemed Guru Viji Prakash and is one of her senior disciples. She performed her Arangetram in 2005 and since has toured with the Shakti Dance Company across the U.S. and Canada as a part of numerous productions. Her passion for Indian art and culture has lead her to teach at the Shakti School of Bharata Natyam for several years. She continues to study and grow as a dancer, and hopes to pursue dance throughout her life.